Ladislaus (or Vladislav) Bortkiewicz's father was Joseph Ivanowitsch Bortkiewicz and his mother was Helene von Rokicka. The family were of Polish descent. Joseph Bortkiewicz came from the Russian nobility. He was a military man with the rank of colonel but he was an instructor teaching artillery and mathematics. In fact he wrote a number of elementary teaching texts on mathematics, economics and finance. Ladislaus certainly was influenced by his father's academic interests. Bortkiewicz studied law at St Petersburg, graduating in 1890 and then went on to study political economy and statistics for a year of postgraduate work. He studied at Strasbourg from 1891 to 1892, then at Göttingen under Lexis in 1892, going on to also study at Vienna and Leipzig. After submitting a dissertation, he was awarded a doctorate in 1893 from Göttingen. After lecturing in statistics and actuarial science from 1895 to 1897 as a privatdozent in Strasbourg he went to St Petersburg where he was a clerk in the Railway Office from 1897 until 1901. However, during this time he returned to academic life, teaching statistics from 1899 until December 1900 at the Alexandrowskii Lyceum. Then in 1901 he was appointed as an extraordinary professor of statistics at the University of Berlin. 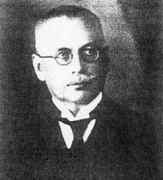 Bortkiewicz became an ordinary professor of statistics and political economy at the University of Berlin in 1920 and he spent the rest of his life there. An unfortunate argument with an Italian statistician Gini, who accused Bortkiewicz of plagiarism, led to an unhappy episode near the end of Bortkiewicz's life. Bortkiewicz worked on mathematical statistics and applications to actuarial science and political economy. His work on actuarial science was largely concerned with mortality tables. He examined life expectancy in an increasing population and showed in 1893, contrary to what had previously been believed, that life expectancy in such a population could only be computed from mortality tables and was not a function of the observed birth rate and death rate. He published on mortality rates again in publication of 1904 and 1911 where he examined methods to compare mortality rates. A striking example was the number of soldiers killed by horse kicks per year per Prussian army corps. Fourteen corps were examined, each for twenty years. For over half the corps-year combinations there were no deaths from horse kicks; for the other combinations the number of deaths ranged up to four. Presumably the risk of lethal horse kicks varied over years and corps, yet the over-all distribution was remarkably well fitted by a Poisson distribution. By far [Bortkiewicz's] most important achievement is his analysis of the theoretical framework of the Marxian system, much the best thing ever written on it and, incidentally, on its other critics. A similar masterpiece is his paper on the theories of rent of Rodbertus and Marx. Other areas to which Bortkiewicz applied his statistical methods include radioactivity (1913), order statistics, and applications to legal studies. ... Bortkiewicz does not get any less obscure as he goes on. The mathematical argument is right enough and often brilliant. But what it is all really about, and what it really amounts to, and what the premises are, it becomes increasingly perplexing to decide. ... are distinguished by independent opinions ..., rigorous deductions, and voluminous references of international scope. At the same time, being comprehensive and not accompanied by a summary, they make hard reading. Bortkiewicz received many honours including membership of the Swedish Academy of Sciences, the Royal Statistical Society, the American Statistical Association and the International Statistical Institute.